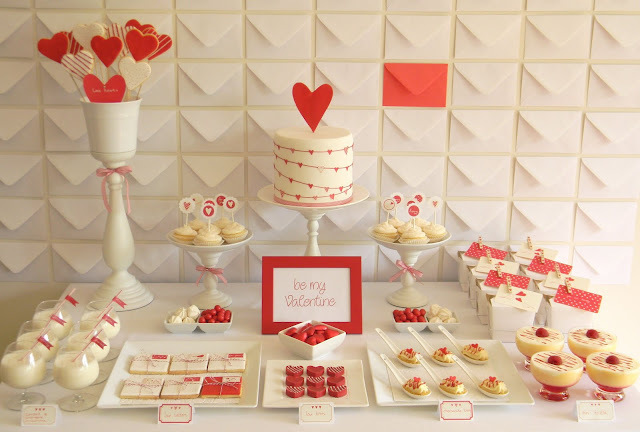 This entire Valentine party spread is perfect, but my heart belongs to the valentine envelope backdrop that Leoni created for her dessert table. With the one single red envelope ..it is PERFECTION! And so inexpensive. Although it would take a steady hand to get them all straight! You can check out all of this fun Valentine's Day party over at Just Call Me Martha.